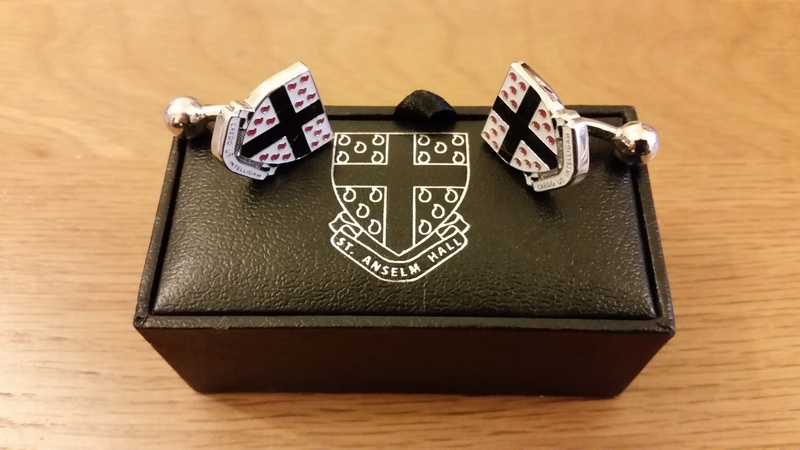 St Anselm Hall cufflinks supplied in a gift box. 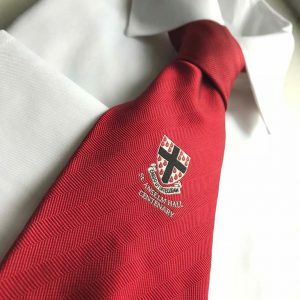 A pair of silver-coloured cufflinks. These feature an enamelled design and utilise a ball return in the rear fixings.